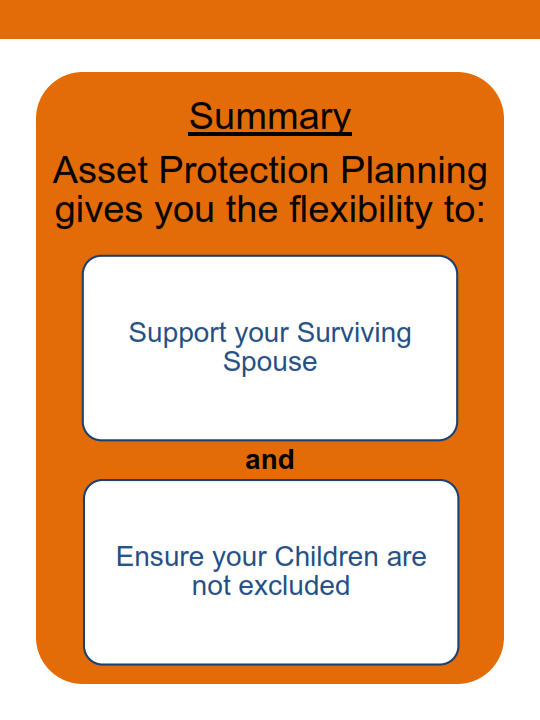 ﻿For second marriages and blended families, asset protection and estate planning is very important. 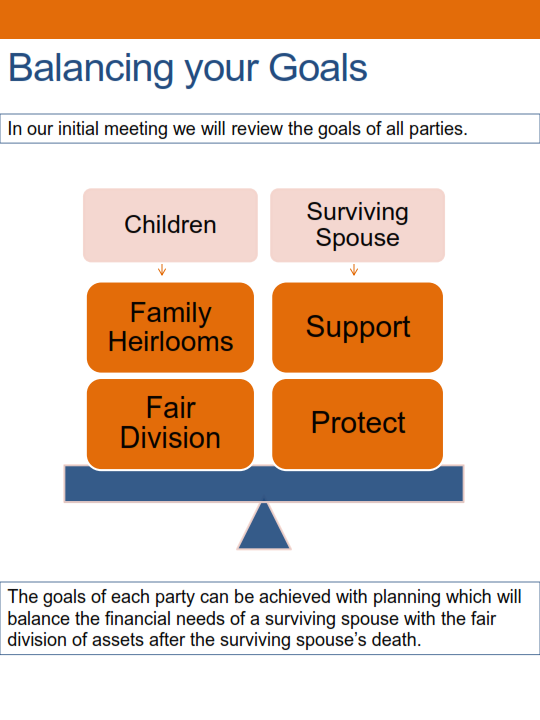 Unless your goal is to exclude your children (or allow your spouse to do the same), planning is essential to ensure a fair distribution. 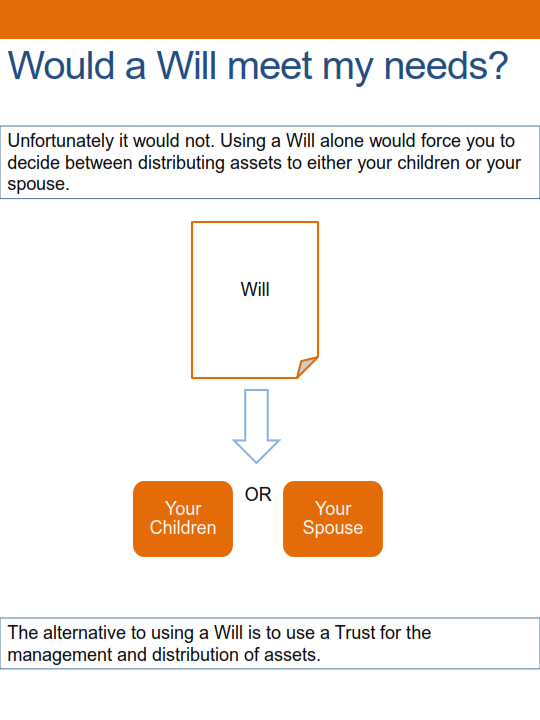 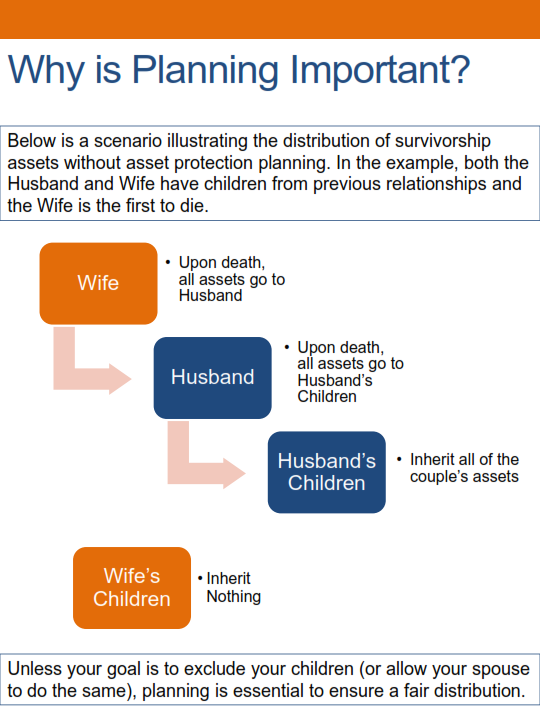 Below is a visual guide to Estate Planning and Asset Protection for second marriages and blended families by Elliott Stapleton an attorney Cincinnati, Ohio. 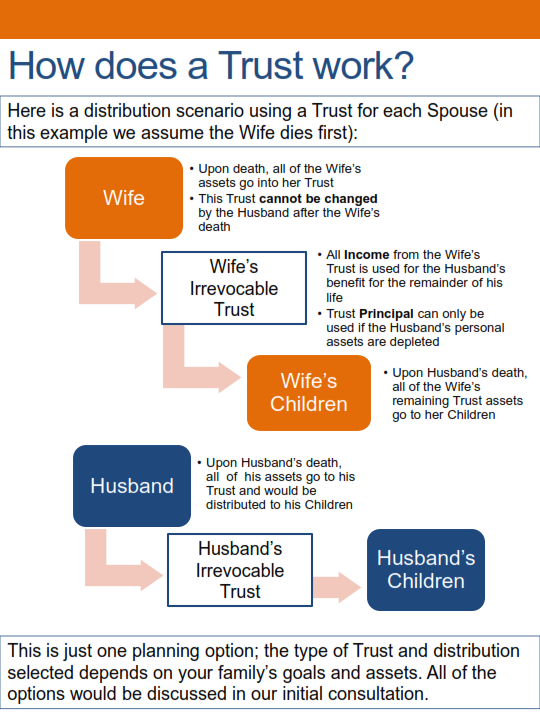 This includes a scenario illustrating the distribution of survivorship assets without asset protection planning as well as an example with the necessary Trust in place for the family. 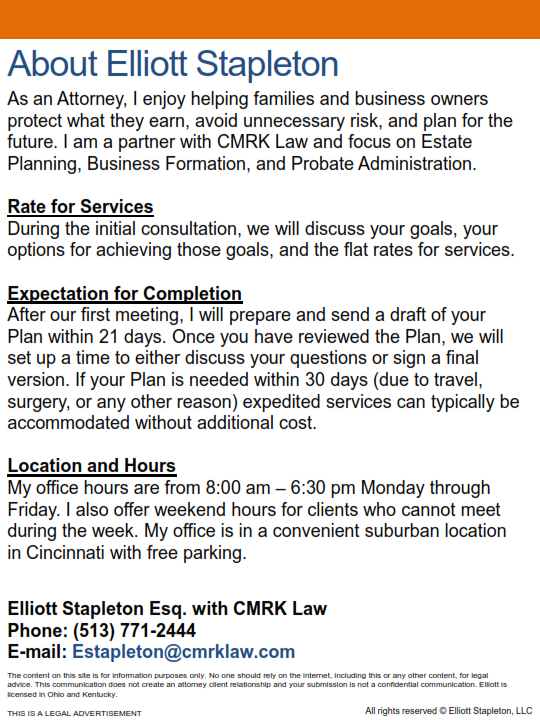 If you have questions, feel free to contact Elliott Stapleton to schedule an initial, free consultation.